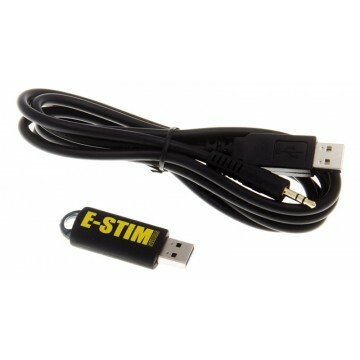 The E-Stim 2B™ Digital Link Interface System. It's a USB driven digital interface that allows you to connect your 2B Power Box to your PC or Mac and update firmware. Use the Commander2™ software and control your 2B directly from your computer or even remotely across the internet. Update your 2B firmware using UpLink2™ software which is supplied as part of the digital link interface system. Supplied with cables and an E-Stim USB stick pre-loaded with official software.